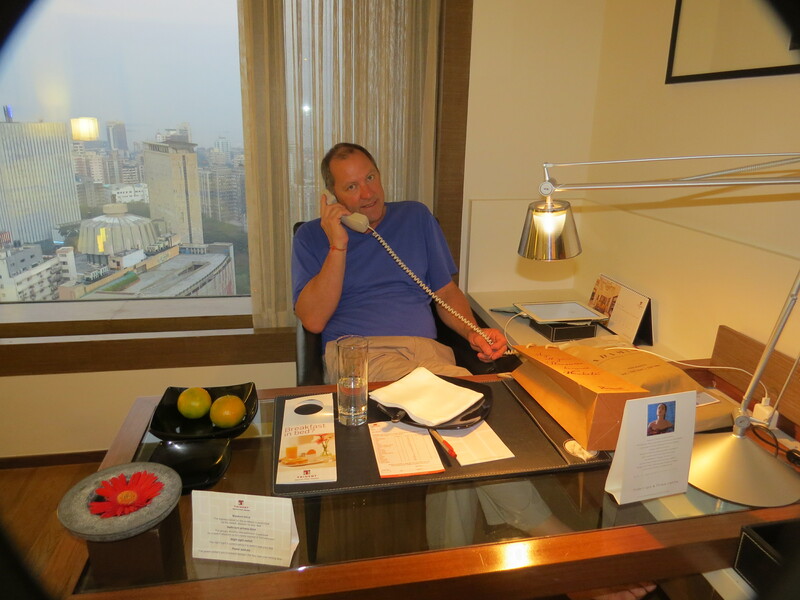 Mumbai Tuesday, March 10 – Thursday, March 12 We landed in Mumbai, the city of Slumdog Millionaire, and immediately began our tour with a cab driver Noel knew. 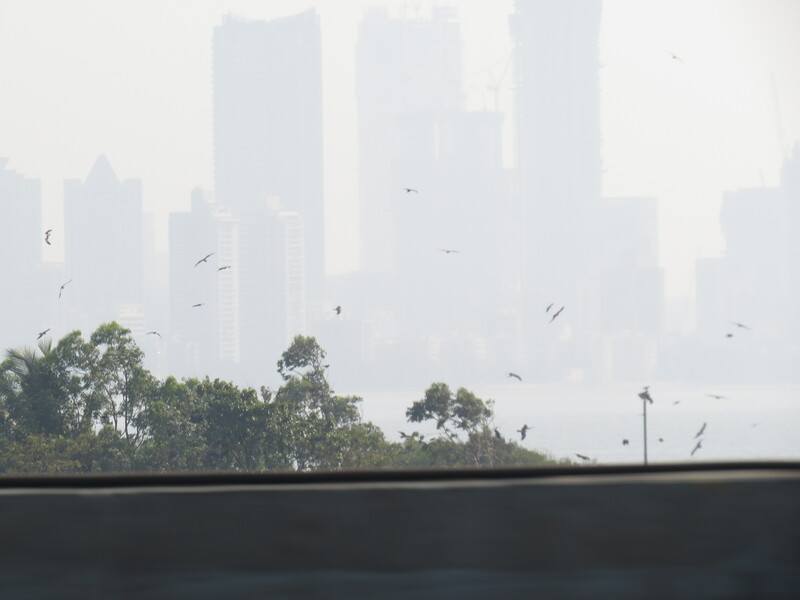 From the relative peacefulness of Kerala to the loud, smog-drenched city of Mumbai, we were in a bit of a culture shock. The air was chewable, like it had been in Delhi. No A/C in the cab so we got our lungs full in prep for our 48 hours here. 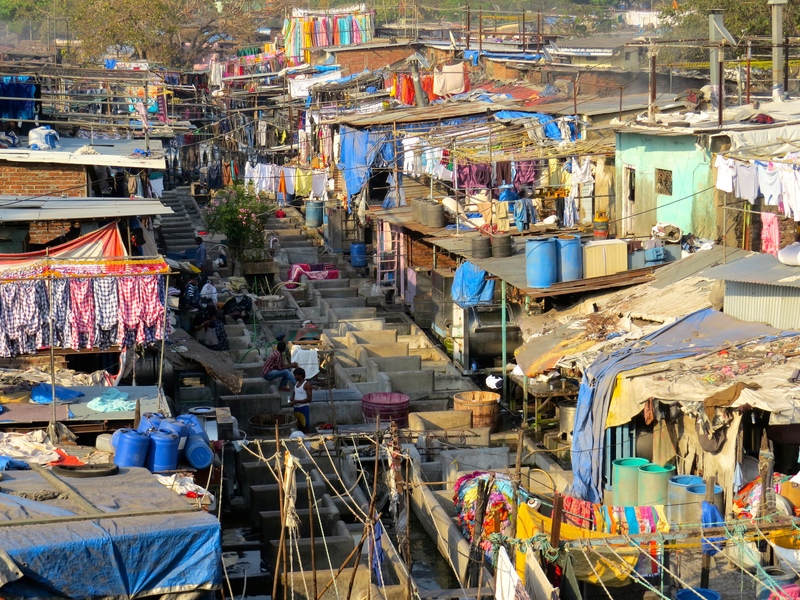 Our first stop was a five-minute sighting of the word’s largest, open-air laundromat, Dhobi Ghat. Dhobis are the traditional Indian laundry men, and their occupation is passed down through the families living here. 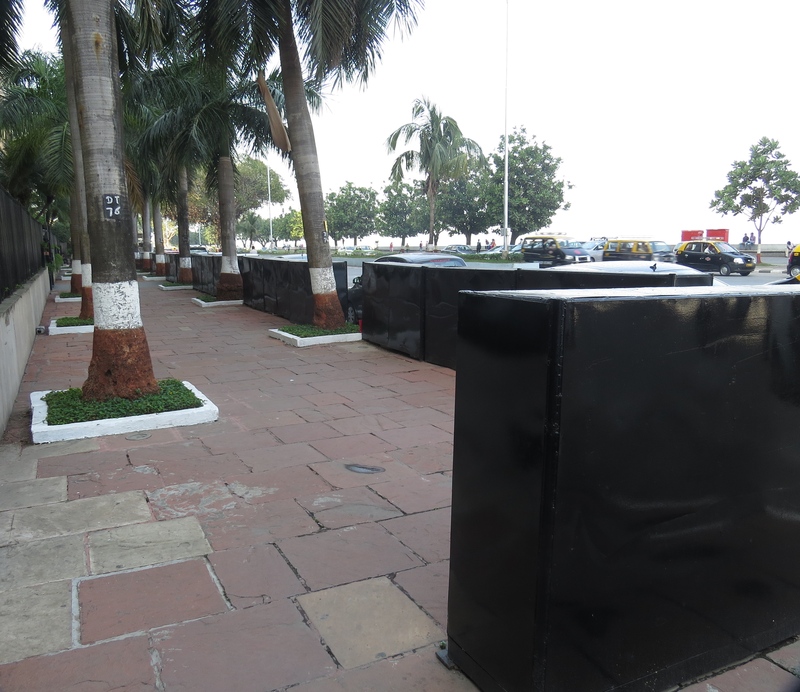 Hotels and hospitals use this outdoor facility for clothes and sheets with open-air concrete baths called ghats and flogging stones. The process is: soak in sudsy water… thrash on the stones… boil in starch… hang to dry…then iron/fold. 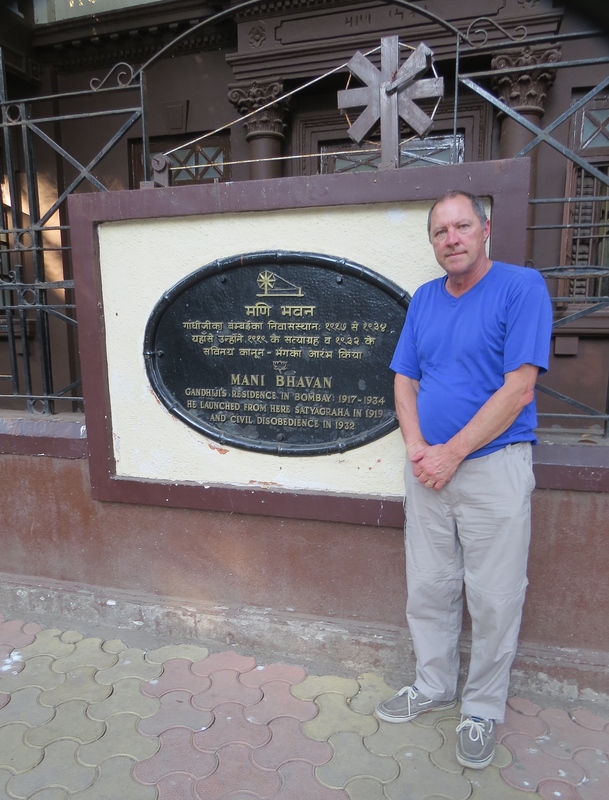 After snapping a few shots we hopped back into the cab to reach Mohandas (later called Mahatma by others as it means “Great Soul” in sanskrit) Ghandi’s residence when he visited Mumbai. The Mani Bhavan Gandhi Sangrahalaya is a home converted into a museum. 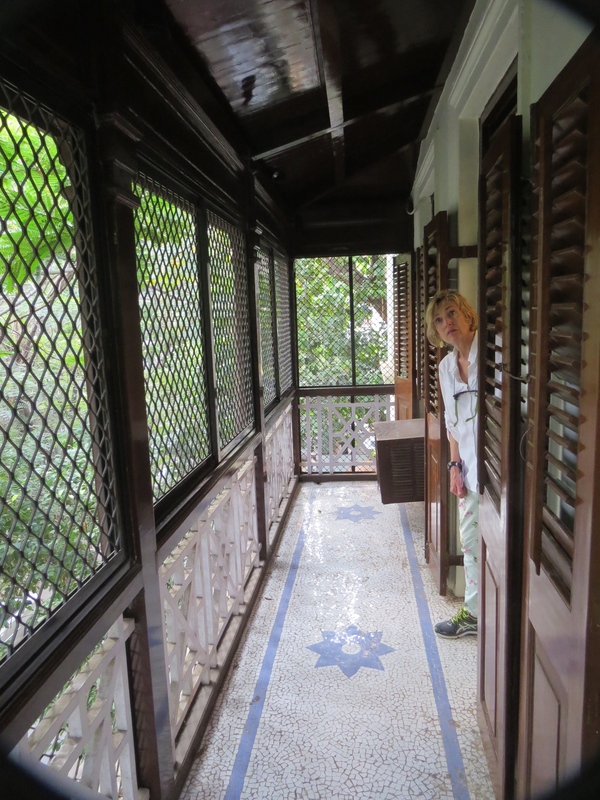 In this home where he stayed when visiting Mumbai, Gandhiji (1869-1948) learned to card wool and to spin here. This man of nonviolence and civil disobedience began his fight against injustice when he was thrown off a train in South African 1893. He was riding in the whites-only section. His search for equality for Indians took him back to his native land in 1915 where he often visited Bombay (Mumbai). In this house on the terrace he was arrested in the early morning of January 4, 1932. 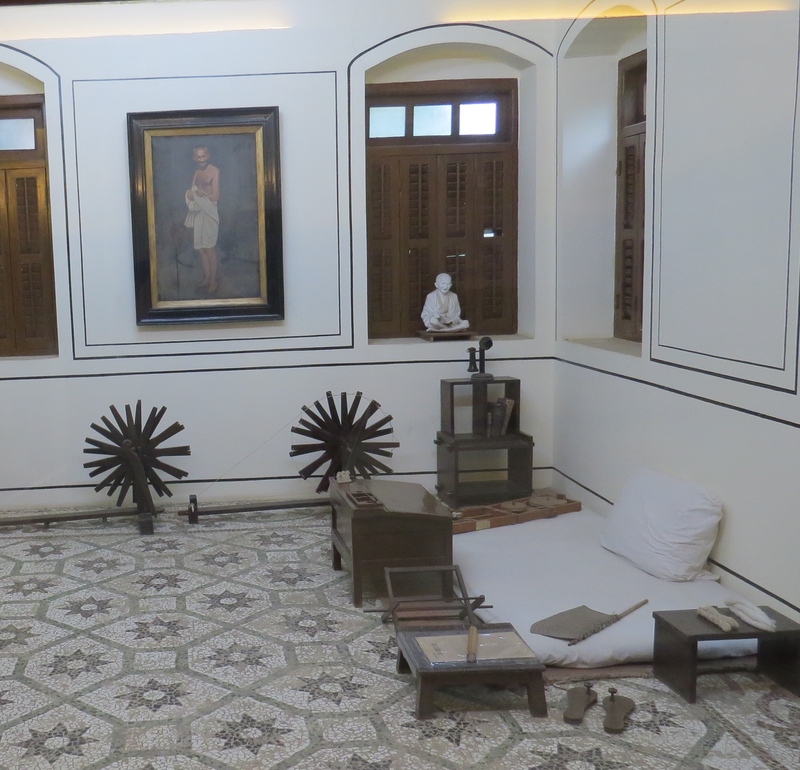 This museum, in addition to a chronological display of Gandhi’s life, houses a library, research institute auditorium and his room. 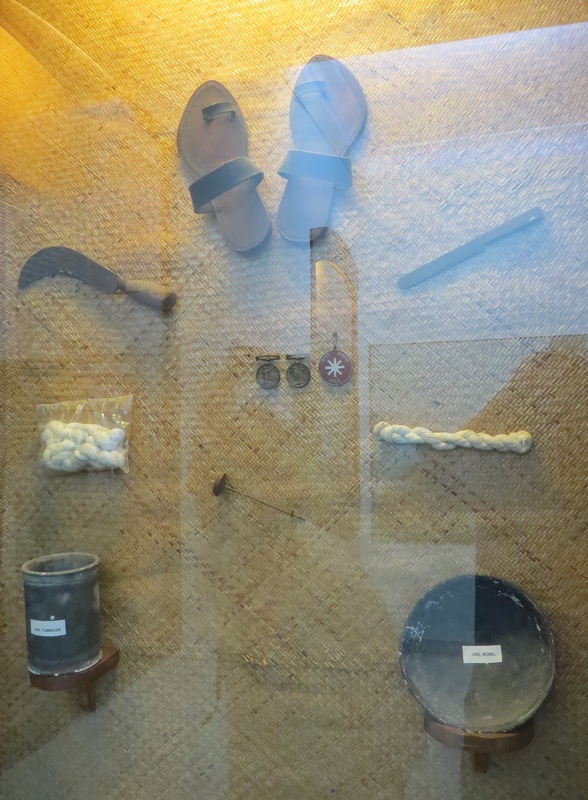 Here, he used to live and work, and some of his artifacts are on display. In the picture gallery we view photos of Gandhi from early years to later and read letters he had sent to world figures. 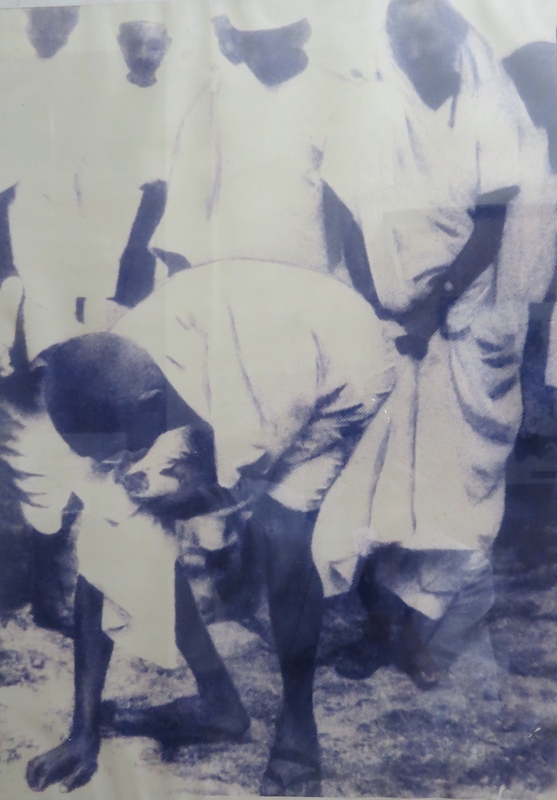 Here he is reaching his destination at the end of the famous Salt March in Spring of 1930. Britain held a monopoly on the production and sale of this critical seasoning, forbidding Indians from competing, and heavily taxing it. Thus, this famous march became the symbol of Gandhi’s mass civil disobedience or “satyagraha” against British tyranny. Over 60,000 Indians were arrested after participating in this 240-mile walk. 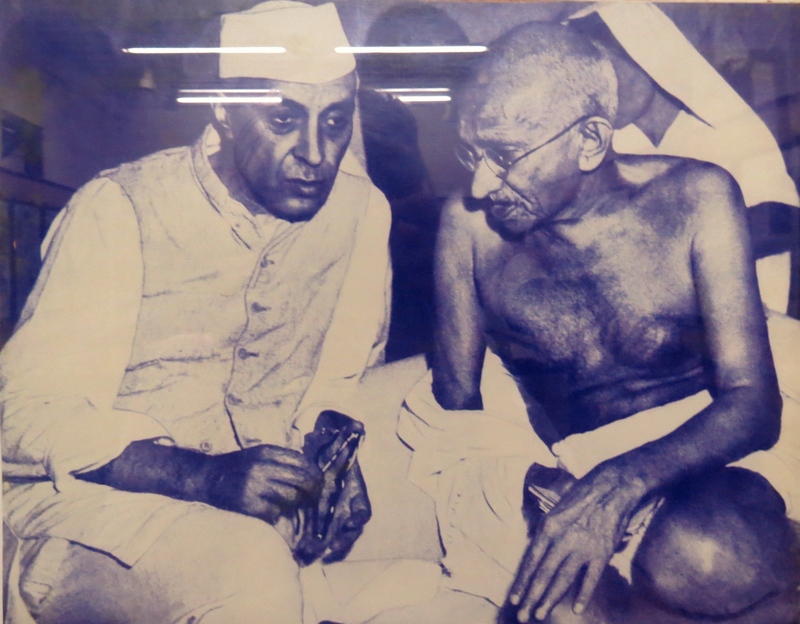 And, here’s a photo of Gandhi and Jawaharlal Nehru (1889-1964). The latter represented the younger generation, and, although from completely different backgrounds, these two men shared a vision for India, one of independence from British rule. 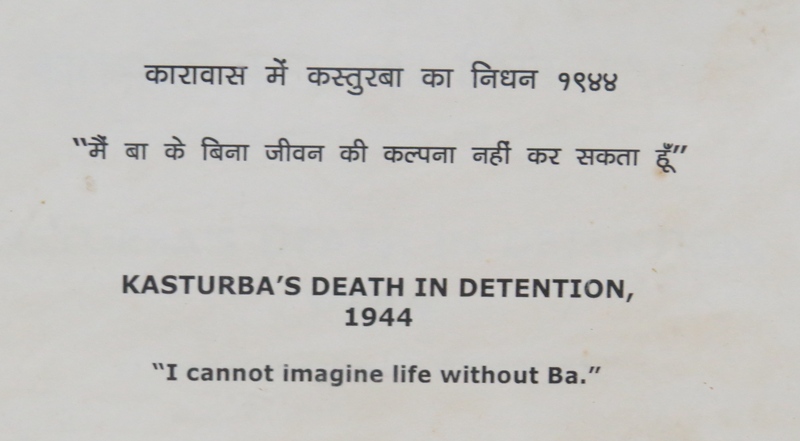 One of the most poignant displays was this quote mourning his wife who died in captivity. However, Gandhi wasn’t always the sparkling, pure hero that history has white-washed. This fighter for justice actually supported racial segregation. When protesting his treatment in South Africa he supposedly said ‘respectable Indians’ should not be made to use the same facilities as ‘raw Kaffirs’. Nice. At least the tactic of non-violent, civil disobedience was used by others who actually did fight again inequality, such as Martin Luther King. 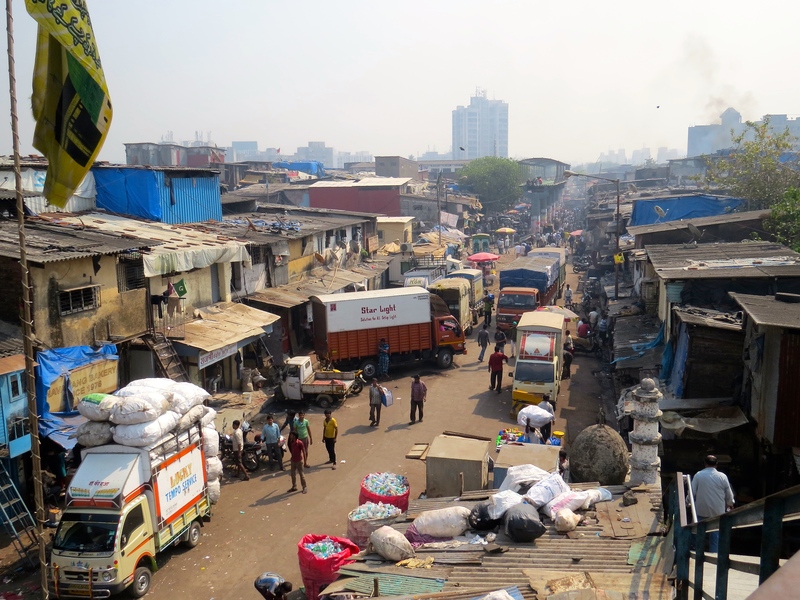 The next morning we arrived at a local train station to meet up with our Reality Tours guide who was going to take us into the largest slum in India, the second largest in Asia: Dharavi. I had initially said ‘no thanks’ to doing this. It felt voyeuristic. But Max said read the company’s web page and Trip Advisor ratings. So, I did and was impressed. The business model for Reality Tours is set up for local development. 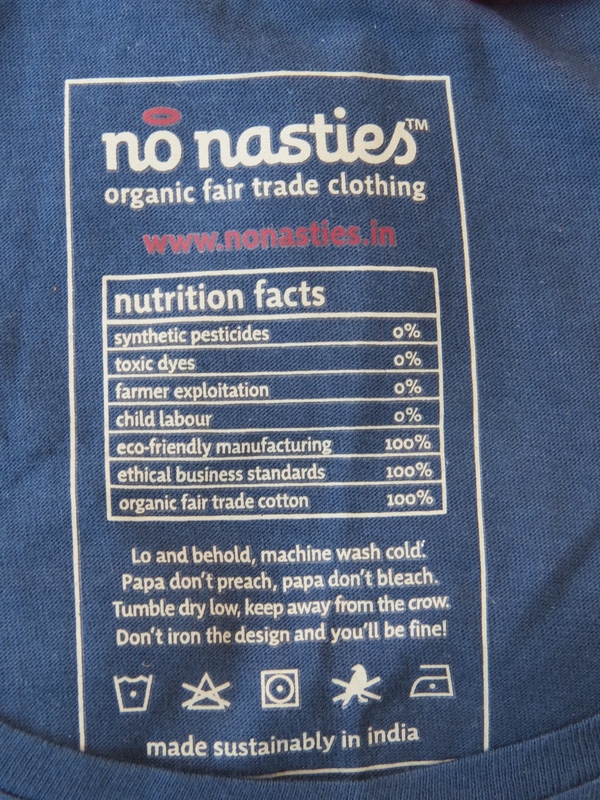 Eighty percent of the profits go back to the community via their sister-NGO Reality Gives. 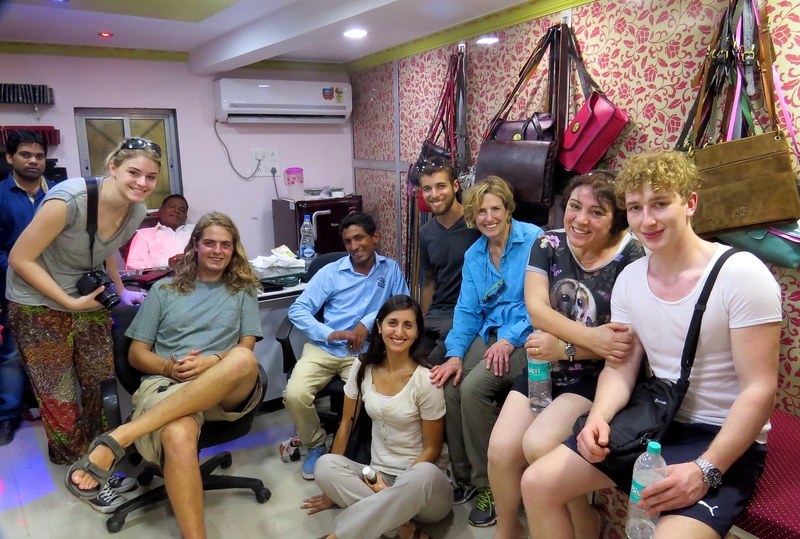 That NGO reinvests the money into education programs where tours are run, such as in Dharavi. The tour guides are respectful of the inhabitants and ensure their customers are as well (we weren’t allowed to take photography and only stopped at pre-arranged places of business). The success of this social impact model has spread with other tour operators interested in replicating Reality Tours’ practices. 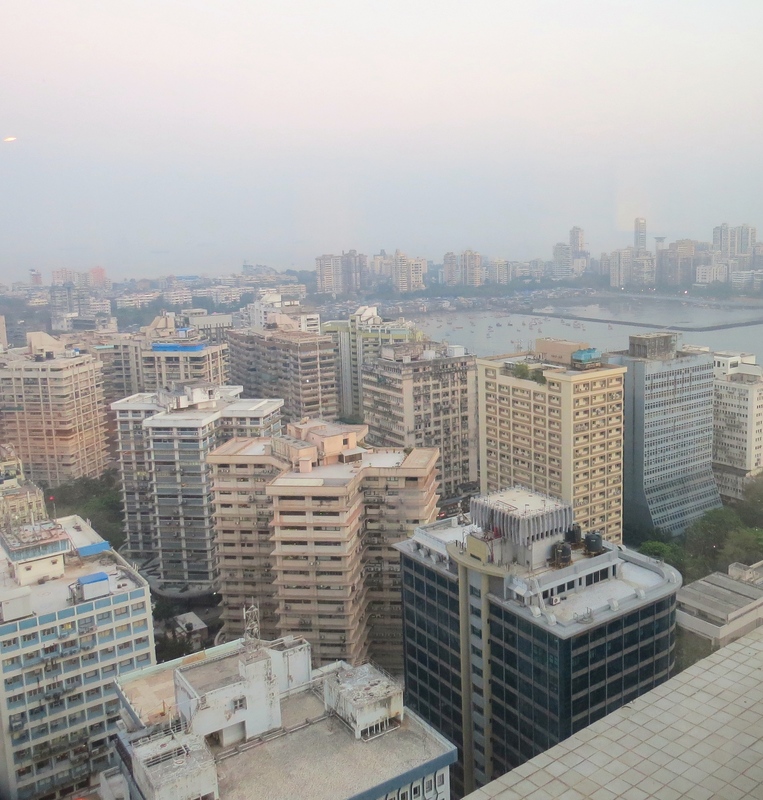 Over a million people live in this area located in the middle of India’s financial capital Mumbai. 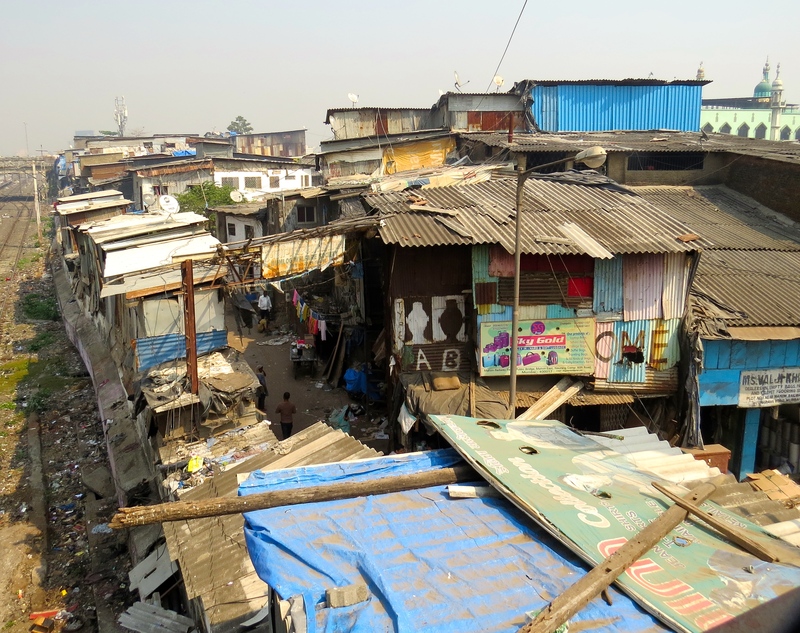 The slum is split into commercial and residential areas. Millions of dollars (over $650 million) is generated by businesses contracting with local laborers, the bulk from recycling plastics, sewing apparel, and leather works. Unfortunately, almost all profits go back to the owners who live elsewhere and don’t reinvest in the workers or their working conditions. As Max noted one of the saddest memories he has is walking by a room where three young teens were squatting on the damp and dirty cement floor sorting plastic so quickly he could barely see their hands. We entered the residential area, walking into a dark, narrow warren of alleyways barely three feet wide. Our feet were squishing on planks sitting atop gray mud with electrical cords drooping down from the sides of curtained doorways. Glancing inside you’d see an old woman and young baby in a dimly lit, one-room apartment. No natural light made it down inside the alleys so you couldn’t really see where you were going. Thankfully the guide kept close tabs on all of us. We’d still be there if we’d lost him. Once out we breathed a sigh, then continued past a garbage heap, just missing a rat scurrying from the side of the building towards the trash. Then we came upon a more spacious area of apartments that actually faced some trees and had open-air balconies. Our guide explained this is where Hindus lived. 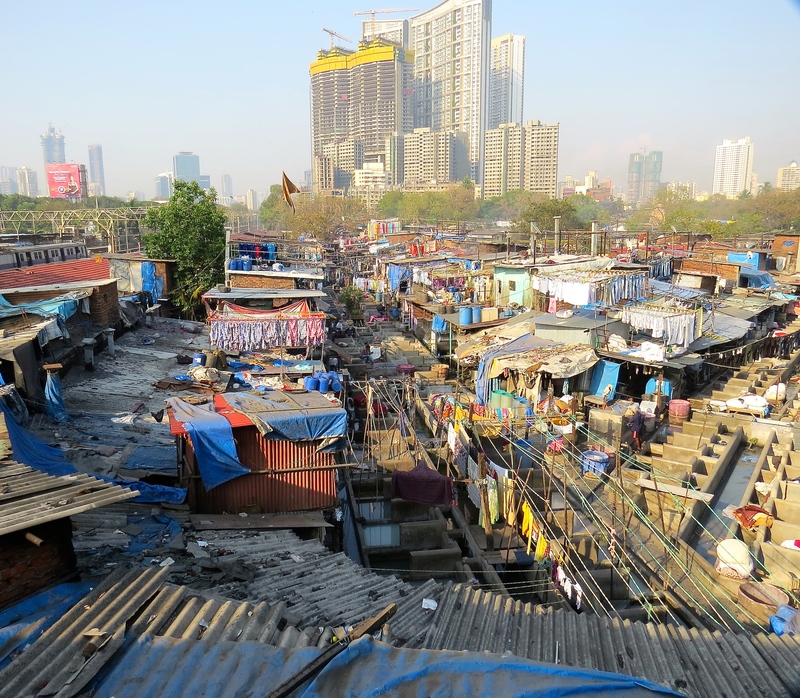 When asked why they had the better living area, he said they were the first to populate the slum, and as more and more moved to Dharavi, the newcomers, such as the Moslems, got the less desirable dwellings. We only have three photographs, which were allowed: two right before we entered, overlooking this huge area; another in a manager’s office selling handbags. We had a wonderful mixed group of fellow tourists: two young guys from New Brunswick of all places (Andrea, you would have enjoyed them and they, you! ), an aunt and her niece from Chile, and a young German couple. We ended up at the little gift shop where we purchased a few items including a t’shirt with one of the most informative clothing labels I’ve seen. 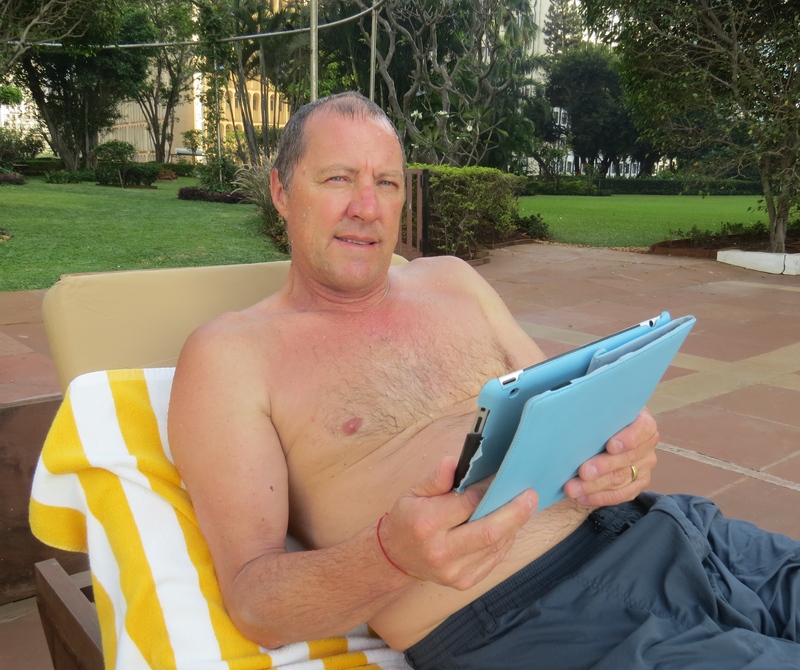 After the travel and tours we were ready for some R&R, and, boy, did we ever get it. The hotel Noel had booked for us was amazing. We didn’t want to leave our room. We were perched on the top floor, which overlooked this huge city. Here Max is speaking with Noel while enjoying a non-ice G&T :) I must admit we felt so privileged. 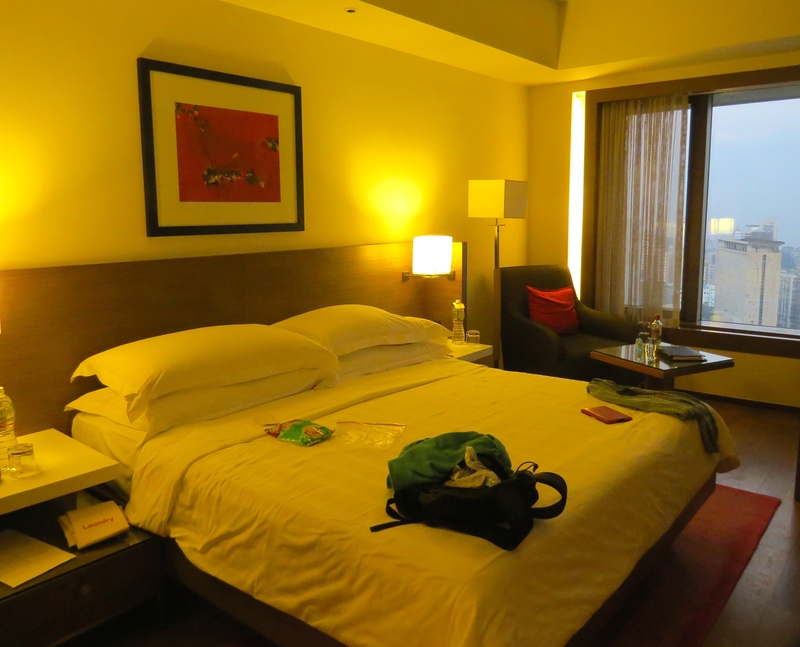 To walk from the poverty-strewn streets into a posh hotel lobby, ride an elevator to our clean and air-condiionted room, turn on hot and cold running water, while considering what we wanted for dinner… well, it was an extreme comparison, and one with which we weren’t always comfortable. But, it didn’t keep us from enjoying as many amenities as we could! 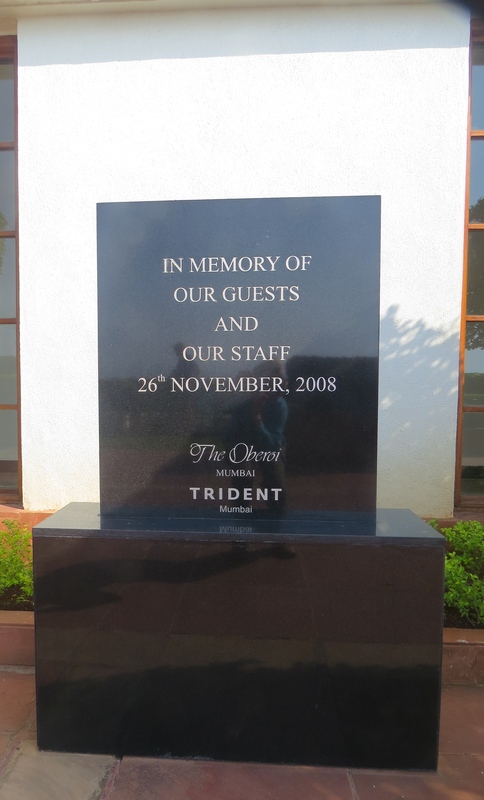 We did stop in at the Taj Mahal Palace Hotel where in 2008 ten terrorists murdered 257 people and injured 700. A memorial at our hotel reminded us of this horrific event, an event that is occurring with more frequency throughout the world. 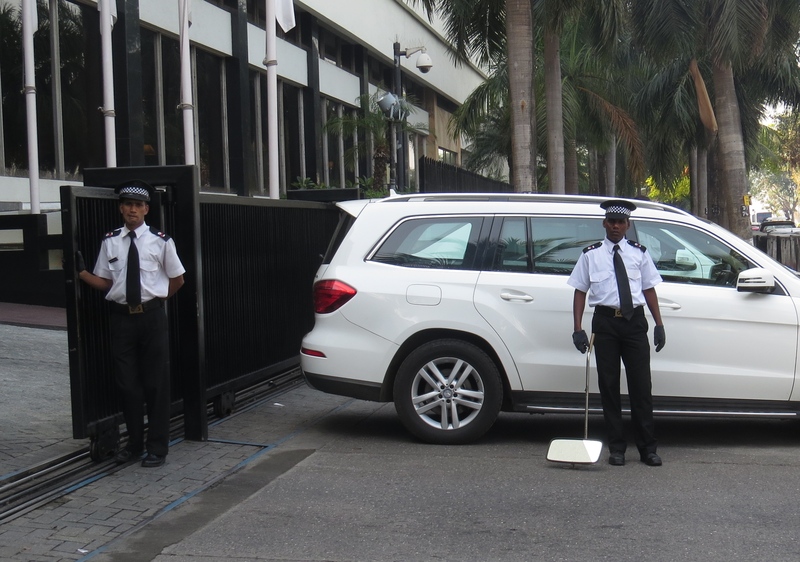 It’s also the reason for the security measures seen around our hotel and many other tourist sites. 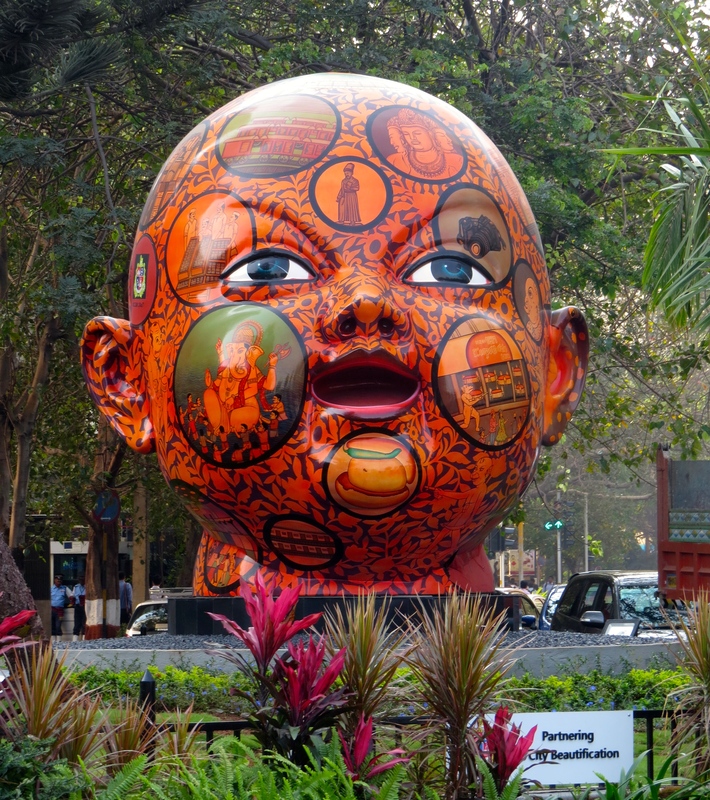 While walking towards our hotel I spotted a sculpture that was a bit scary and odd. It reminded me of a good friend’s gift from her oral-surgeon daughter: a fridge magnet of an open brain… And, when I emailed this head to her she responded “No new magnets, but I will definitely ask for another. Last week she went to a training conference in Tampa on some new plates for broken jaws. They each got a human head, yes, only the head, to operate and practice on for the day. Other body parts were given to other conferences for training.” Not something I could handle! 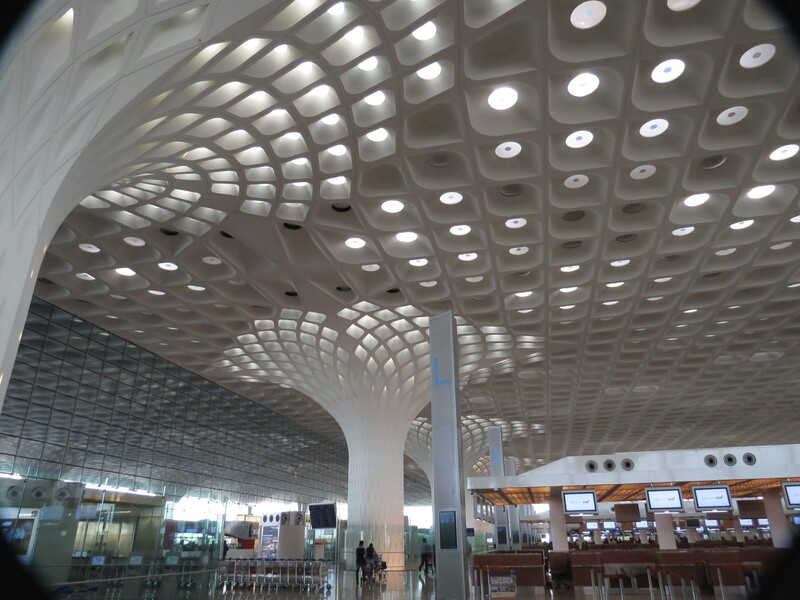 After four weeks our journey to India was over, and as we rode to the Mumbai airport (another impressively designed building), Max and I knew we wanted to return. I had expected to be intrigued by this country but not yearn to return. Yet, the unexpected happened, and we do want to return. I have a feeling in my soul we’ll do just that. This entry was posted in 2015 03 INDIA, 2015 Winter Tours, Asia, COUNTRY, India, WINTER TOURS on April 7, 2015 by margaretlynnie. I really enjoy your dynamic photos and descriptions of all that you’re experiencing. Amazing! Thank you, Lynnie and Max. This a wonderful, informative blog – the photographs are stunning. We were so blessed to have a short visit with you when you were in Maine! these last couple of blog posts are wonderful. Doesn’t India seem fantastical to you, so different from Ipswich, so very different from rural Maine? 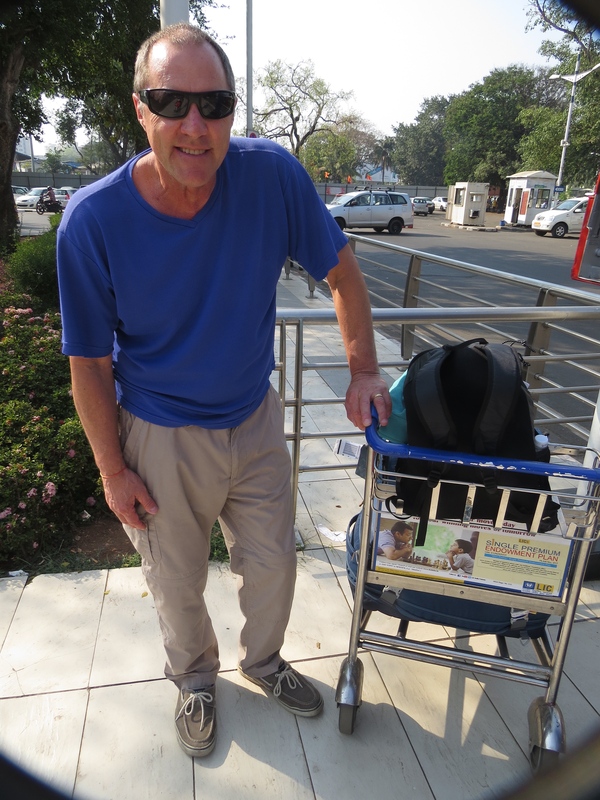 Thanks for taking us along with you…and we do not have to get shots, worry about Delhi belly, or pay for airline tix! Thursday we woke up to 2-3 inches of snow. Today, bright sun and a warmer breeze. maybe a day to hang the clothes out to dry…but it won’t look like the laundries in Mumbai. Scotland in September?